The Chicago School convenes Skid Row agencies to empower the homeless of Los Angeles. The Chicago School’s decision to have urban campuses in Los Angeles, Chicago, and Washington, D.C. is not by accident. In fact, having campuses set in the heart of the city has allowed students to experience the multifaceted challenges facing the urban poor, the homeless, and a wide range of diverse populations. In Los Angeles, homelessness is an issue that is nearly impossible to ignore. Angelenos without homes are in doorways, subway stations, and in the tent city that has grown to epic proportions on Skid Row. But on Jan. 11, The Chicago School of Professional Psychology, in collaboration with the L.A. Mission’s Anne Douglas Center and First Foundation Bank, took a critical first step in bringing issues related to homelessness out of the shadows and into the light. 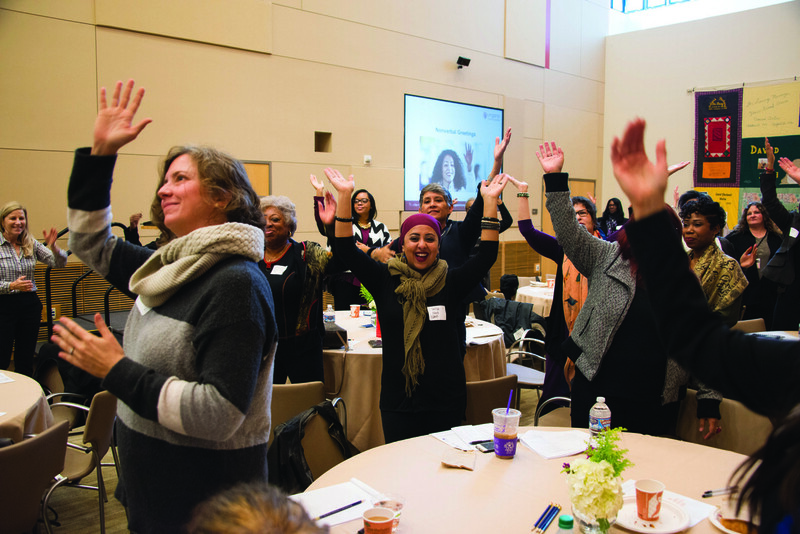 More than a year in the making, the Women’s Collaborative Conference brought 150 clinicians and representatives from 60 different agencies together with 40 homeless women to share ideas and collaboratively devise a plan to help combat the problem. Legendary entertainer Marilyn McCoo, a board member at the Anne Douglas Center, was honorary chairwoman. 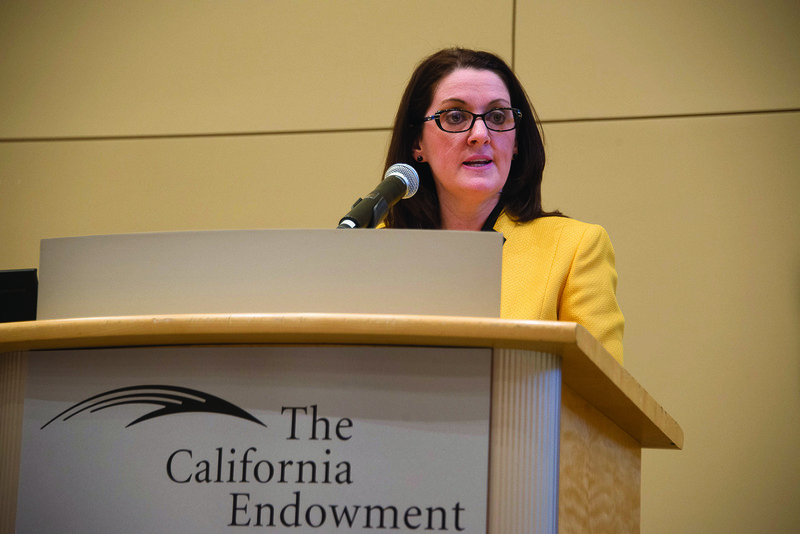 Senior Director, Clinical Training Teresa Masi originally initiated The Chicago School’s collaboration with the center as a practicum and internship placement opportunity for students on the Los Angeles Campus. As a result, The Chicago School currently has 10 doctoral interns providing intensive one-on-one and group counseling for the women in residence on site at the center. 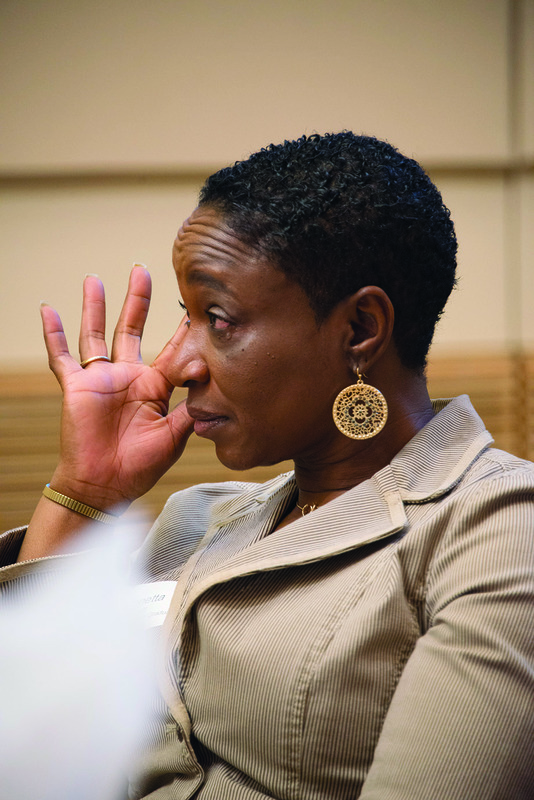 But it was a meeting that President Michele Nealon had with a former Anne Douglas Center client that sparked the idea to hold a conference for the women of Skid Row. After successfully completing the program at the center—overcoming addiction, trauma, and abuse—Johnnetta Tripplett discovered a love for flower arranging, opening her own business on Skid Row. When Tripplett extended her business card to Dr. Nealon, a vision to create an event that would empower the women of Skid Row and help those who were struggling was born. Masi and other key staff from Anne Douglas Center and First Foundation Bank launched a grassroots effort to reach out to the many agencies on Skid Row and bring them to the table to develop a truly collaborative slate of speakers, presenters, and trainers. The conference was a success, highlighted by tear-filled remarks from Tripplett herself about her vow to help other women get off the streets and into safety. After hearing additional remarks from a group of distinguished speakers, including L.A. Mission’s Clinical Director, Dr. Bruce Rush, and Dr. Nealon, attendees broke into groups to learn more about beneficial philosophies and clinical techniques for aiding members of the homeless population.The discussion covered everything from Dialectical Behavior Therapy (DBT) and non-verbal communication strategies to stress-reduction therapies and Critical Time Intervention (CTI) approaches. Hard data from a variety of studies was also shared. The Chicago School, for example, has shown that women who receive counseling for trauma and addictions, especially those who learn how to surround themselves with healthy communities, are significantly more likely to have successful life outcomes than those who do not. New evidence presented at the colloquium also showed that as women graduate from programs, additional support is needed to reduce recidivism. Having combined this new knowledge with established clinical techniques, The Chicago School’s representatives along with community leaders now embark on the task of trying to implement innovative solutions to combat the homeless crisis in Los Angeles. The foundation for the program is already in place. But it’s just a first step. In the end, this year’s Women’s Collaborative Conference was a spark to collectively push these initiatives further. As a result, The Chicago School’s students and faculty will continue to collect data and perform research to motivate the community at large to find— and enact—new and lasting ways to aid one of the most devastated homeless populations in the country. Find more articles from this issue of Insight here.